That was the shocking tidbit State Archivist Florent Hardy shared with those attending the YWCA Connections luncheon earlier this month at Juban’s Restaurant. He discovered this interesting fact while researching Louisiana Christmas traditions for his presentation. There’s the traditional December 25 Christmas celebration, then there's St. Nicholas Day on December 5th and the Trappers Christmas on February 25th. Hardy also discovered that the first Christmas in Louisiana was celebrated in “La Nouvelle (New) Orleans” in 1718. In fact, according to http://www.thehistoryofchristmas.com, Louisiana was among the first states, all in the South, to make Christmas a legal holiday: Alabama in 1836, Louisiana in 1837 (by Gov. Edward Douglass White Sr.) and Arkansas in 1838. Louisiana first decorated its capitol in 1944, when Jimmie Davis was governor. Christmas wasn’t declared a federal holiday until June 26, 1870. Prior to then, many Northerners thought celebrating Christmas was a sin. Celebrating Thanksgiving, they thought, was more appropriate. Not so in the South, where Christmas was an important part of the social season. In New Orleans, the original Christmas celebrations included attending midnight Mass, “La messe de minuit,” on Christmas Eve. While everyone was at Mass, Papa Noël paid a visit and filled the stockings of the children with a trinket and some fruit and sweets. “On Christmas day, you visited la crèche — the manger scene. Gifts were exchanged on New Year’s Day,” added Hardy. While most of Louisiana celebrated on Dec. 25, families of German descent living in Robert’s Cove in Acadia Parish celebrated St. Nicholas Day on Dec. 5. For many generations, extended families have gathered at homes in the cove to await Kris Kringle (St. Nicholas) and Black Peter to bring treats for the good children. According to the website http://www.louisianafolklife.org, people were afraid of this impressive bearded figure in white robes with a shepherd’s staff, who was said to punish children who had not been good since last Christmas. 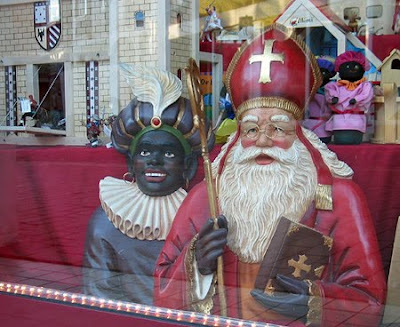 Around World War II, the St. Nicholas Day celebration was suspended, but has seen a revival in recent years. Today a choir accompanied by St. Nicholas, Black Peter and Santa Claus visits homes in the cove. All the children are given treats, the choir sings German Christmas carols, and sweets and beverages are served. And then there is the Trappers’ Christmas in Barataria. Because Christmas was a very busy time of year for the fur trappers, the celebration was postponed until Feb. 25. 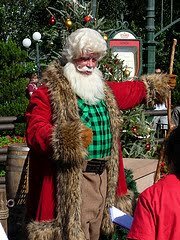 The jolly old elf today referred to as Santa Claus was known by several other names depending on what part of Louisiana a person called home. To those of French heritage he was Papa Noël, to those of German heritage he was Kris Kringle or St. Nicholas and to the Cajuns he was always a she called La Christianne. 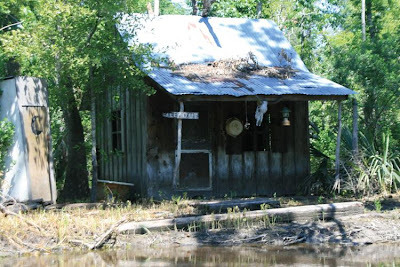 “Along the River Road plantations, St. Nicholas arrived on a donkey and left goodies in the shoes of the children left out on the porch,” added Hardy. The familiar Santa who arrives via a sleigh pulled by eight reindeer (Blitzen, Comet, Cupid, Dancer, Dasher, Donner, Prancer and Vixen) was created by best-selling author Washington Irving in 1819. Another longtime tradition in Louisiana’s River Parishes is the Christmas Eve bonfires on the levee, lighting the way for Papa Noël. 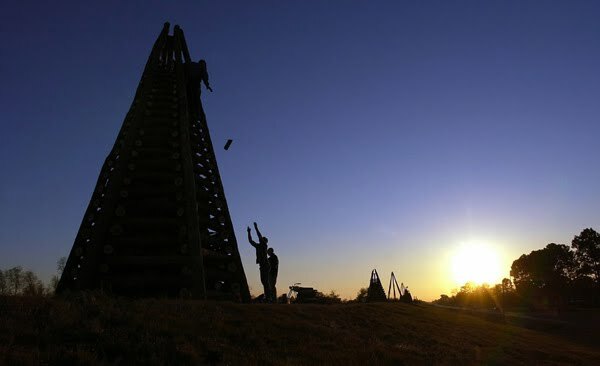 What started out as simple bonfires in the 1800s has grown into massive creations constructed by multiple generations who join together with family and friends and thousands of complete strangers for a huge celebration. 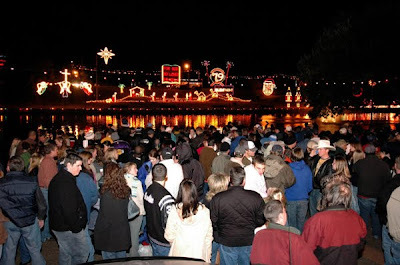 Further north in Natchitoches, Louisianans have been celebrating the Festival of Lights since 1927. Begun by the city’s superintendent of utilities, today’s celebration runs from Nov. 20 through Jan. 6 and draws more than 100,000 visitors. 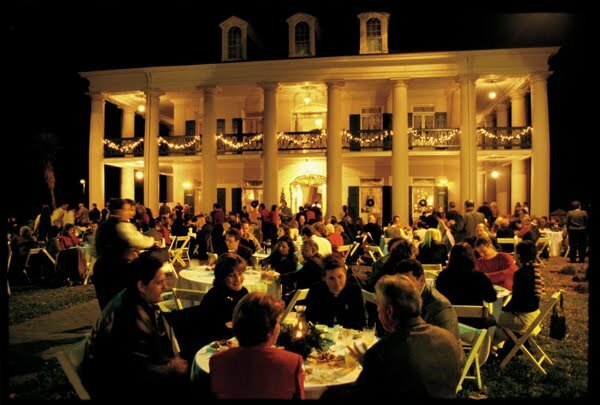 It features more than 300,000 Christmas lights, more than 100 displays and a parade as well as a candlelight tour of homes sponsored by the Natchitoches Historic Foundation. Natchitoches isn’t the only city with a Christmas parade. In fact, most cities and towns celebrate the holiday with a parade including Baton Rouge, Amite, Baker, Clinton, Denham Springs, Gonzales, Hammond, St. Francisville and Walker.